Noisey interviewed MFBTY recently and discussed with them the origins of their name and the meaning behind their album. 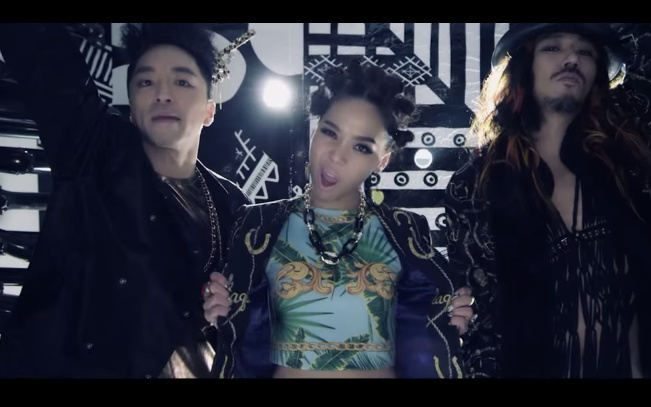 MFBTY had nothing but good things to say about the people who inspired them to continue on past all their struggles. So the name MFBTY came out of this community you found on Twitter of K-pop fandom? Tiger JK: When I started tweeting, the first group of people that actually started talking to me was from Brazil. So just imagine—we didn’t think we were popping in Korea, and someone from Brazil will talk to us! And I was like “Hey, how do you know me?” And I was chatting with them and they were from different fandoms. And it was sort of an inside joke between them, ‘cause I was kind of like the UN for all these fans from different groups. The inside joke was “my fans are better than yours,” so the fans made the name. One day it kind of snowballed into something, and people were writing MFBTY graffiti in London and Spain and Italy, and we became something like a cult.